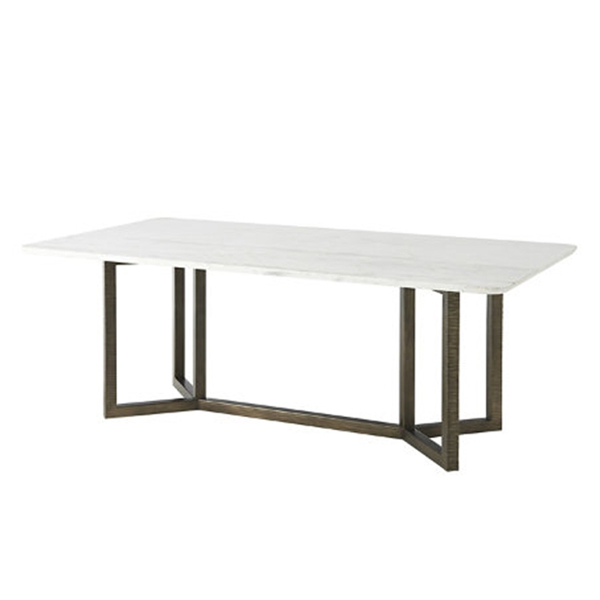 The Hermosa Table is a contemporary beauty fit for any modern dining space. A solid, beveled marble top and foundry finished steel base with texturing are the details that make this table stand out. Dimensions: W 84" x D 45" x H 30"